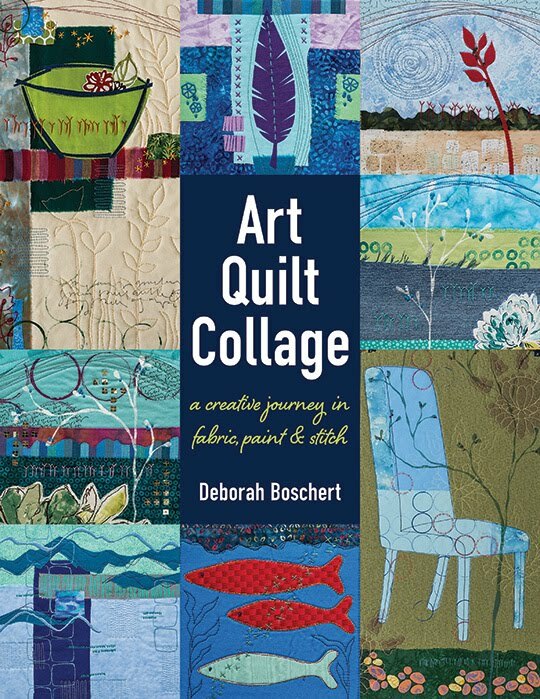 My fellow blogger, Melody Johnson, responded that my recent post about working on the Quilting Arts challenge and she made some interesting comments. You can read them if you scroll down to January 1. I sent her a personal email, but I thought I'd put some of my thoughts here too. We are definetely in the Era of Embellishment. 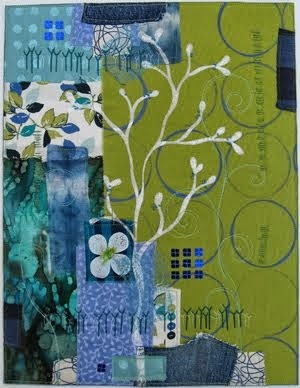 I must say, I always love reading Quilting Arts (and Somerset Studio and Cloth Paper Scissors). But, I'm easy to please are far as the simple luxery of paging through a magazine at the end of the day after the kids are in bed and the dishwasher is running. Much of the artwork and lots of the techniques in those publications involve this type of excessive manipulation of the artwork. It does all start to sound and look the same after awhile. I myself have begun to incorporate more "stuff" in my work. But I don't go for the layers and layers and layers of clutter. A well placed stick or rock can really be a wonderful accent. Melody recommended looking at the Fiberarts design books. I have seen them and they are wonderful. In fact, I've had a few on my amazon wish list for several months. (My birthday is coming up, maybe I'll move them to the top of my list. Hint hint for you gift giving folks.) And I never get tired of paging through my Quilt National catalogs. Don't get me wrong. I'm a subscriber to all those magazines and sometimes I actually catch my breath when I see them in the mail box because it's so thrilling. In fact, I may let my subscription to QNM laspe after some 7 or 8 years. It's just not that inspiring -- in comparison. And actually I'm a fan of excessive embellishment in some cases. I like the depth and energy it can offer.